There is a engine stall problem as what I posted earlier here. 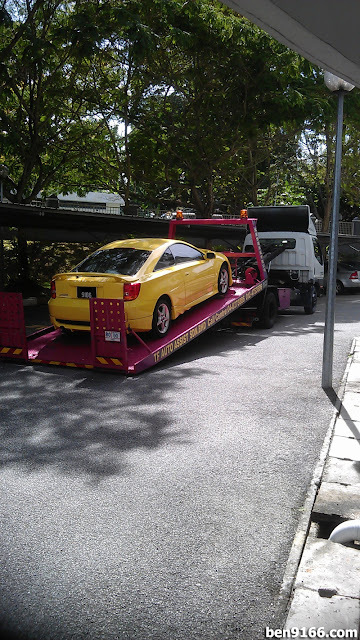 Finally I got my Celica towed to the workshop to get it fix yesterday. 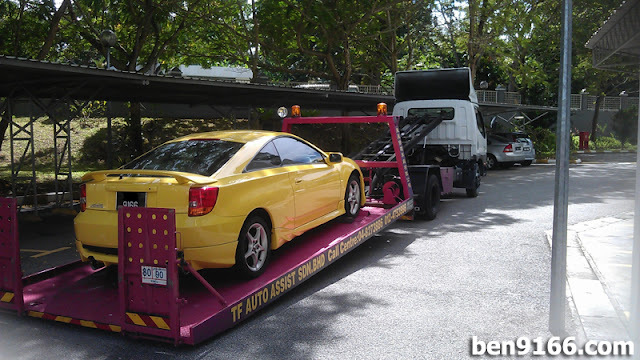 Called the tow truck service and I insisted to get the flatbed tow truck instead of those normal tow truck since I am worry about breaking my bodykit. Sad when looking my car on the tow truck and I really hope the car can be fixed without burning my deep hole in my pocket. Lesson learned from this is don't ever park your car there for months and at least do start the engine and warm it up. Stay tune with me for the update. 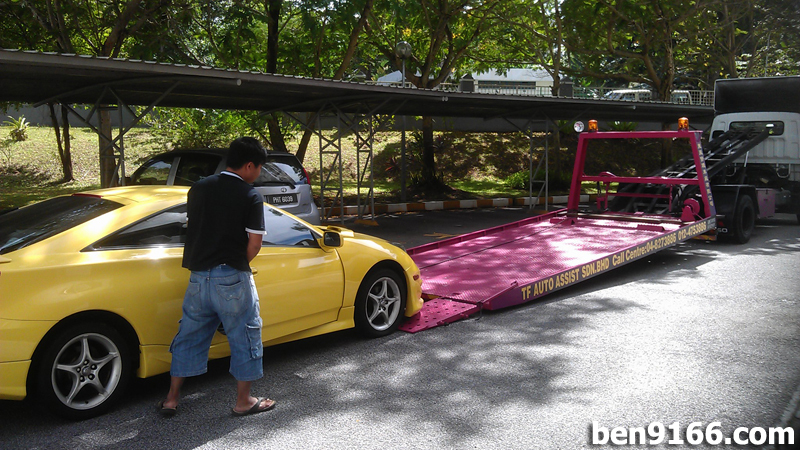 By the way, I got my car towed for RM150 from Bayan Lepas to Pulau Tikus, Penang. Not pretty sure how much is the market price but at least the price is quite reasonable for me. By the way, if you wish to get the contact for this tow truck company; do drop me a comment of message. While waiting for the update, do enjoy some of the pictures I took during the towing process.